Hmm..ever notice how rich some members of the cloth seem to be including the new Archbishop from St. Paul. Did he forget to take the vow of poverty? Well time to turn the other cheek. Nobody likes losing their 'golden calf' especially to a 'run of the mill' thief but a man of the cloth like Nienstedt must realize his gold lies in the afterlife...er..maybe his six over sized gold crosses will be there when he arrives. Norm Coleman is some kind of sleeze circumventing the law for cheap rent. Coleman is paying half of what the 'fair market' value would be for his Washington DC walk out apartment while using his landlord's services of telemarketing to the tune of $1.5 million since 2001. Coleman is in violation of obtaining "gifts to senators of $250 or more from friends" which does including lodging. Since the start of the tomato scare (bts), I've heard countless news agencies advise we avoid tomatoes. There was even a federal advisory to not eat tomatoes that was sent out over the national security alert network. Most restaurants won't serve them, grocery stores have ban them, and the farmer's market is charging a small fortune to buy one...why? NOT ONE SINGLE CASE OF THE CURRENT MAJOR US SALMONELLA OUTBREAK HAS BEEN FOUND IN TOMATOES! nada, zitch, nothing, zero. even though the FDA has been testing day and night! So now that we've over reacted once more, the tomato industry is on the brink of a real disaster. So don't look for the killer tomatoes but for the killers of tomatoes. Ah, I see where Mars is moving into Virgo...that's good as Mars is associated with energy and drive and Virgo is the details...so...just saying I might be blogging more. At the very least I plan on cleaning my house...just saying, things have gotten away from me but I'm in recovery...re-entering the atmosphere, soon to be back on earth. 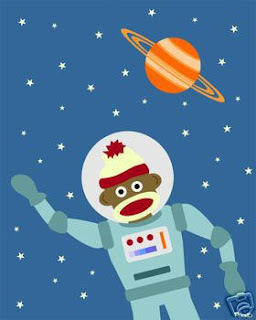 Have a great 4th of July- your spacemonkey ts.